“Go Figure” is the title of a new group exhibition at the Smart Museum, and a confession of the show’s thematic ambivalence. “Go Figure” shrugs its shoulders at the reason for its own being. 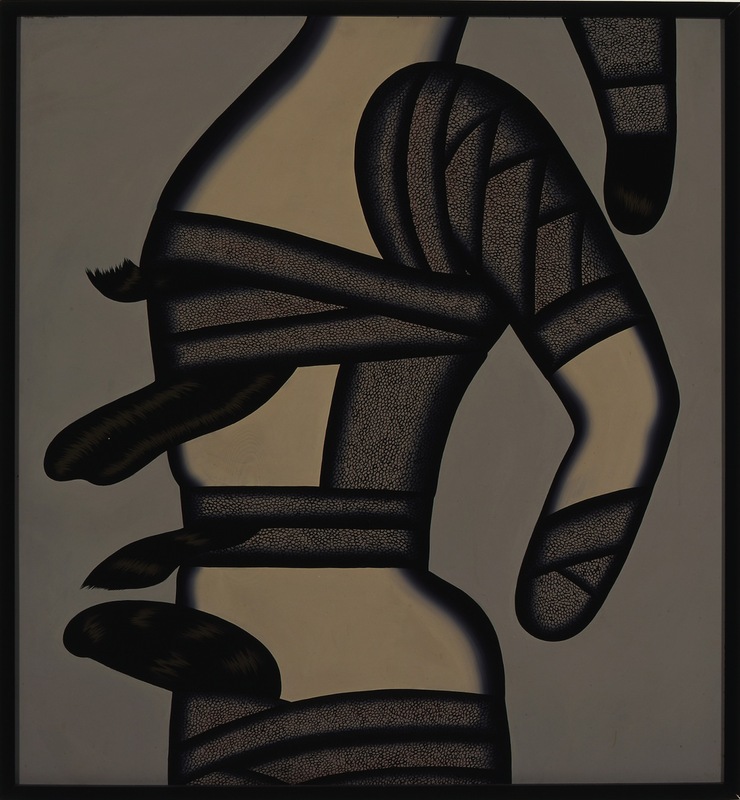 Twenty-nine paintings, drawings and sculptures from nine artists represent figurative and body-themed art since 1948. The past sixty years is a meaty chunk of human history, in which “the body” has been gender flipped, self-mutilated, liberated, at turns desired and diseased, beautified, destroyed, duplicated and digitized, so an exhibition of contemporary figurative artwork need not resort to a blanket genre. Will the Smart Museum’s exhibition schedule follow up with other close-at-hand tropes such as landscapes and still-lifes? “Go Figure” takes place in the art museum of the University of Chicago, a campus dedicated to cutting-edge research, but the exhibition fails to propose a hypothesis, a provocation, or an analysis of body consciousness as manifested in the past sixty years of human history. There is a seedling of comprehension in the show that unfortunately does not reach fruition. The motif concerns a family tree of Chicago art history, stemming from self-taught artists who have been heavily collected in this city (here represented by Martín Ramírez), as plucked and translated by a generation of Chicagoans in the 1960s (Christina Ramberg is the placemarker here). A wall text reads: “The figurative impulse…[begins] in childhood,” as if only half aware that this is supple territory for exploration of the contemporary reduction, stylization and caricaturization of human form into a symbolic ornament. The lessons learned from Art Brut are still being taught today, as evident in the work of Clare Rojas and Nick Cave on display, not to mention Chicago’s rich history of body horror art, here wonderfully juxtaposed as a picture-in-picture dialogue among Leon Golub, Nancy Spero and Sylvia Sleigh. But these layers of influence only amount to an image dump of generic comparisons and contrasts where they should be articulated as problems and revisions. Is it enough for a handful of masterworks to carry a simplistic theme? Perhaps yes, if this were a summer group show at any other commercial gallery. What emerges, then, is not an educational opportunity but an acquisitions strategy. Just under half of the artworks on display here (that’s thirteen of twenty-nine) are on loan from private collections and the artists. This is a strategic first step for any museum looking to add treasures to its permanent collection, but disguised, here, as soul and substance.